An Illinois judge wasn’t swayed during a sentencing hearing Thursday when former lawyer Donnie Rudd denied involvement in his wife’s 1973 murder. Judge Marc Martin of Cook County sentenced Rudd to 75 to 150 years in prison, report the Chicago Tribune and the Daily Herald. He was sentenced under 1973 guidelines that make Rudd, 76, eligible for parole in 11 years. Rudd had claimed that his wife died in a car accident; prosecutors said the crash was staged to support Rudd’s life with another woman. Rudd collected $120,000 from life insurance policies after his wife’s death. Rudd was disbarred by consent in 1994. The statement of charges had accused Rudd of misrepresenting the status and success of court cases to clients, failed to explain a bad settlement deal to a client, and had asserted his Fifth Amendment rights in a 1991 unsolved slaying of a client who threatened to report him to ethics regulators. Rudd was never charged in that case, and he denied any involvement on Thursday. Rudd has declined treatment for stage 2 colon cancer. Cook County prosecutor Maria McCarthy said after the sentencing that Rudd won’t be getting out of prison during his life. “I hope every killer who’s out there and has yet to be caught looks at this case and knows they can never stop looking over their shoulder and waiting for that knock on the door,” she said. I got into a motorcycle accident and I have to say that Khashayar Law Group represented me real well. I highly recommend them. I have used KLG multiple times for business and personal legal issues. They have consistently been very courteous, responsive and provided excellent advice. I recommend them to friends, colleagues and family. Will continue to use services! Thank you! You know what they say about lawyers? 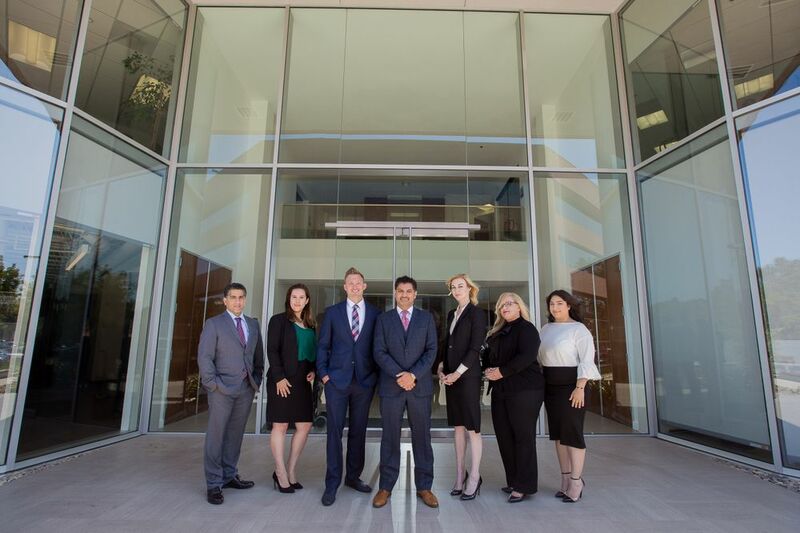 Well, Mr. Khashayar doesn’t fit that mold…When it comes to choosing an attorney, the most important thing to look for is how sharp they are, their level of emotional intelligence, responsiveness, and how well they deliver results. The Khashayar Law Group exceeded my expectations with the quality of their services (and I have very high expectations.) Mr. Khashayar’s empathy coupled with his sharp legal knowledge were the perfect combination to handle the complexities of my case. I’ve also recommended the Khashayar Law Group to my family and they are very pleased with the outcome of their case. I’m relieved I no longer have to look elsewhere for legal advice — Mr. Khashayar will always have my business and I highly recommend him. Daryoosh Khashayar is a remarkable attorney. The care and dedication he displays with his clients goes above and beyond others in the industry. I can definitely attest to the superior level of service he provides, as I have been his legal assistant for over 7 years. I can say without hesitation that he comes highly recommended by me to any family, friend or acquaintance that is seeking legal assistance. It is truly rewarding to be able to work with an attorney of this caliber and vouch for his professionalism. Fill in the small form so we can start helping you today.